Throughout my professional career in networking I was lucky to work with all Cisco firewall models and therefore I have experienced the “evolution” of every firewall product developed by Cisco. For the SMB/SOHO market, Cisco’s initial offering was the PIX 501, followed by the successful Cisco ASA 5505. The latter came to an End-of-Sale in 2014 and now the replacement low-end model is the new Cisco ASA 5506-X. One of the most popular configuration guides on this blog is this basic ASA 5505 tutorial . Since these are useful posts for many people, I’ve decided to write also a configuration tutorial for the new ASA 5506-X. I will cover two popular use cases of the 5506-X. One is a simple scenario of providing internet access to an internal LAN. The second case is more advanced and will cover two DMZ zones, one with a publicly accessible Web Server and one with a Guest WiFi Access Point. Before starting the discussion on how to configure the 5506, let’s first see the most important specs and features of this model. It comes in two hardware “flavors”, the normal 5506-X and also the 5506W-X which has an integrated wireless access point (a/b/g/n bands). It comes in two software license “flavors”, the Base License and the Security Plus License. 8x1GE Network Interfaces (these are routed ports, not switch ports like the previous 5505 model). 1 Management Interface (for the FirePOWER module). Performance throughput varies according to what services are enabled. 300 Mbps for only firewall services, 250 Mbps for Application Visibility and Control (AVC), 125 Mbps for Application Control (AVC) and IPS/NGIPS, 100 Mbps for VPN throughput. Max 20,000 concurrent sessions with the Base License or 50,000 with the Sec.Plus License. 5 VLANs with Base License and 30 with the Security Plus License. 10 IPSEC Site-to-Site VPNs (Base License) and 50 VPNs with Sec. Plus. Unlimited internal hosts (even with the Base License). Active/Standby high availability (only with Security Plus License). Comes with FirePOWER Services (Application Visibility and Control – AVC) which supports more than 3000 application-layer and risk-based controls. With extra subscription cost you can have also Next Generation IPS, Advanced Malware Protection and URL filtering. You should contact your local reseller and ask about License cost, “right-to-use” subscriptions needed etc. They made licensing too complex in my opinion so you must conduct your reseller for more details and to avoid any “surprises”. For example, Anyconnect needs extra license, IPS requires subscription etc. The Management 1/1 interface belongs to the separate FirePOWER module and NOT to the ASA. DO NOT configure an IP address for the Management 1/1 interface inside the ASA configuration. The default “inside” IP address for managing the ASA is 192.168.1.1 (interface GE1/2). You must configure an IP address for Management1/1 in the 192.168.1.x subnet (e.g 192.168.1.2) inside the FirePOWER module (or via the ASDM GUI as we’ll see below). You must connect both GE1/2 (inside) and Management1/1 interfaces on the same Layer2 LAN switch. The outside interface (GE1/1) must be connected to the WAN (ISP) device and will receive IP address dynamically by default (via DHCP). The quickest way to manage initially the device is using ASDM. Launch a web browser on your Management PC and go to https://192.168.1.1/admin. Select “Startup Wizard”, leave username/password fields empty and hit OK. When the wizard takes you to the FirePOWER network settings, enter IP address 192.168.1.2, Mask 255.255.255.0 and Gateway 192.168.1.1 (see below). After you finish the above, quit the ASDM application and then relaunch it. This time you will see new FirePOWER tabs on the GUI home page which means you can now configure also FirePOWER settings in addition to ASA settings. Internal LAN can access the Internet. The WAN (outside) interface (GE1/1) is configured to receive IP address from DHCP. DHCP is enabled for providing IP address to internal hosts. In this section we will describe how to change this default configuration to suit your network topology. We assume that you already have network connectivity (or console connectivity) to the device so that you can start configuring with Command Line Interface (CLI). This is our network topology for the basic configuration. NAT: Dynamic overload (PAT) using the outside interface. You can configure the ASA to work as DHCP server and assign IP addresses dynamically to internal hosts. I usually apply the following ACL on the outside interface. It has two purposes: First is to allow ICMP reply packets to come back in (when pinging from inside to outside) and second purpose is to log any denied packets hitting the firewall from outside (for alert and security purposes). The above concludes the basic configuration of the ASA 5506-X. 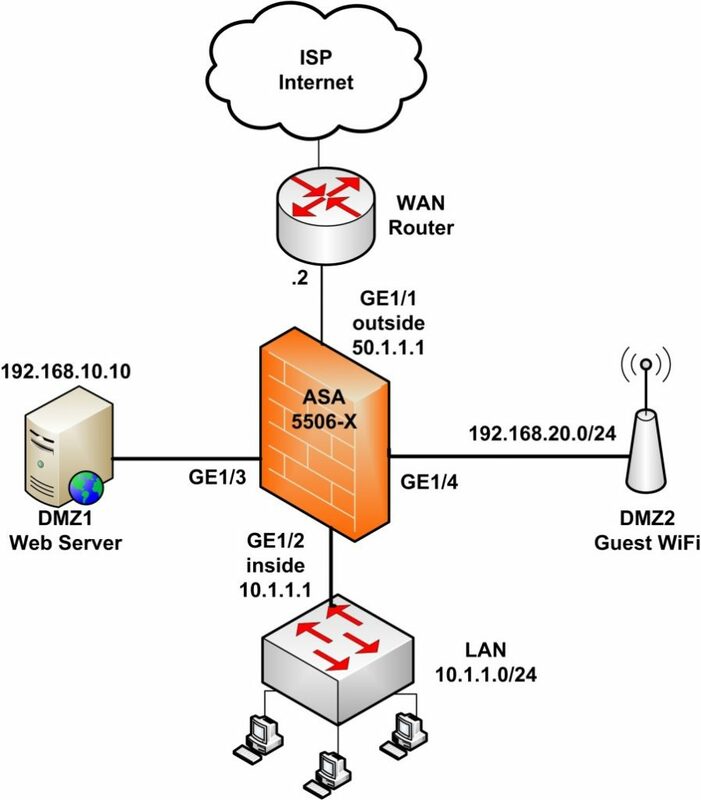 Next we will see a more advanced scenario with web server and guest WiFi in two DMZ zones. This is also a popular scenario found in many corporate networks. We have two DMZ segments (DMZ1 and DMZ2) which accommodate a Web Server (DMZ1) and Guest WiFi Access Point (DMZ2). Of course, there is also the “inside” zone which hosts the internal users and also the “outside” zone connected to Internet. Have a look at the diagram below for better illustrating the use case we will discuss. LAN will be able to access the Internet, DMZ1 and DMZ2. DMZ1 will be able to access the Internet but not the inside zone. DMZ2 will be able to access the Internet but not the inside zone. The Guest WiFi Access Point will assign IPs to wireless clients in the range 192.168.20.0/24 and will provide Internet access to these clients. The Web Server (192.168.10.10) will be accessible from the Internet at port 80. The above configures NAT overload (PAT) in order to have traffic flow from higher security levels to lower security levels. This means that the “inside” network will have access to all other networks (DMZ1, DMZ2, outside). Also, DMZ1 (security level 50) will have access to “outside” and to DMZ2 (security level 40). Finally, DMZ2 will have access only to “outside”. The above static NAT configures PORT Redirection for host 192.168.10.10 (Web Server) using the outside interface. Any traffic hitting the outside interface (50.1.1.1) on port 80 will be redirected to 192.168.10.10 on port 80. The static NAT configured before is not enough to allow access to the Web Server. An ACL is also needed on the outside interface. The above ACL allows TCP port 80 from “any” source to access the Web Server IP (192.168.10.10). The above configuration shows the minimum essential commands needed to satisfy our network requirements. You need of course to implement more features such as SSH access, enable logging, time settings, FirePOWER configuration etc but these are not in the scope of this article. 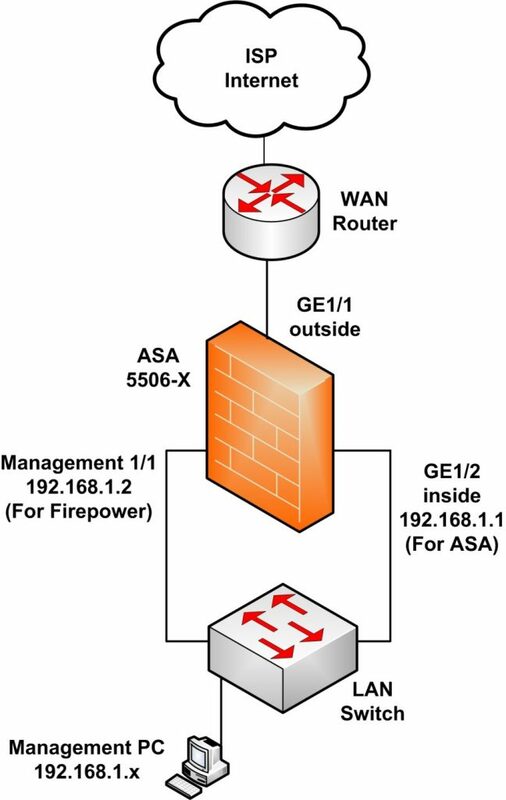 I hope you will find the above helpful for configuring the new ASA 5506-X firewall. For any questions, let me know in the comments below. in addition, i would like to ask about my scenario, i have LAN, WIFI network, Internal Software Management system, so i would like to restrict every user from connectivity on VPN, like Hotspot shield etc. Well, I clicked the facebook like button but didn’t get the PDF file. Why is this? You have two ways to restrict users to that VPN. First is by using FirePOWER Web filtering services to block by domain and the second way is to find all the IPs of that service and block them manually. Nice to see that your still providing us with great advice and guidance. I have been and will remain a follower. I recently had to purchase the ASA 5506-X. I did have some problems with registration and activation of the FirePower module. Mainly because the help links provided by Cisco at the time, were pointing to some old ASA 5505 instructions. LOL, I believe they have since fixed this. I recommend any IT/IS administrator professional or novice utilize your works. Very organized, very informative. I clicked on facebook but i dont get pdf file. Please send me pdf. Thanks a lot for your kind words. I’m glad you like my tutorials. Yeah, Cisco is a little bit slow in “syncing” their huge documentation with every new product they release. Check your email. Sorry about that. Awesome article AH I own a 5506 and 5512-X they are both running great I haven’t touch them in about year and have been wanting to wipe then both on rebuild configs from scratch but got a little rusty knowledge wise so thanks for the refresher. I also think i’m a little behind for far as any revisions of your publications I’ll email you could you check it out and bring me up to date? Please send me an email about up-to-date publications (e.g which email address have you used to purchase, what book edition you have etc). Thank you so much man, this is great stuff, I am currently studying CCNA Security. I find this tutorial so helpeful in designing security architecture. Keep the fire burning man. Kevyn, good luck for your CCNA Security studies. I would like to prepare for CCNA Security. please kindly give me some advice to get this CCNAS. I suggest first to study from an official Cisco press book and also have a look at a video training from Udemy for an overall study preparation. What is the route outside for dhcp on the WAN? route outside 0.0.0.0 0.0.0.0 ? Great article, well written, well formatted. If you configure the above you must not configure default route command. You tutorials makes my life easier when it comes to understanding and configuring security devices like Cisco ASA. Your examples are easy to follow and understand, you are always on point with your explanations. These tutorials are helping me with my CCNP Security studies and I hope by year end 2017 I would be NP SECURITY CERTIFIED. Looking forward to seeing more of these tutorials! You’ve know idea how many lives you’re touching with this so easy to understand stuff! You’re a star and you’ll always be. I’m speechless with your kind words. THANK YOU SO MUCH. I’m glad that I’m helping people as much as I can. Good luck with your certification studies. this is a huge config, so i understand i may not be at the right place. So if I understand correctly you need to access another site via VPN through the MPLS link and then have internet access via the Broadband link? Apologies for not being clear, I think i have sorted it. Going to test this this evening. 1 being the metric and i have setup another static route for the broadband connection with a metric of 10, so taking the preferred MPLS route first. How do i configure a ip address of 192.168.15.1 /24 on gig 1/2.1 (sub interface) without loosing ASDM access. I still cannot get access to the ASDM via the inside interface. I need GRE Over IPSEC on ASA Configuration Guide. GRE is not supported on ASA. What an amazing work, THANKS a million brother. Im having issues with being able to connect to hosts inside my VPN once connected with anywhere client. Im hoping you can give me some assistance it would be greatly appreciated. In which subnet are the inside hosts connected? To 192.168.2.0 ? please contact me on the contact page to give you instructions about sending me the config to have a look. Thanks for your great insights on the ASA firewall and all the wonderful help. I do have have two seperate networks a Production ASA in HA mode and a Lab ASA also in HA mode. The firewall on both sides are not interconnected together based on security reasons. We just have an internal discussion now and the engineering team wants to connect the two together so that we can allow some of the production subnet access to some vmware machines on the LAB side. I will be glad if you can guide me with the best design approach and the best security to achieve this scenario. Its ok to connect the two networks provided you follow strictly a whitelist approach with regards to traffic between the two networks. From the LAB network you must allow only the specific IPs and specific ports that are required for the communication. Nothing else. LAB networks are risky because they have machines which are probably un-patched and not configured with high security in mind. Thanks very much for your wonderful opinion and in the future I hope you build this kind of cases and the best design and configuration to approach this kind of scenarios. 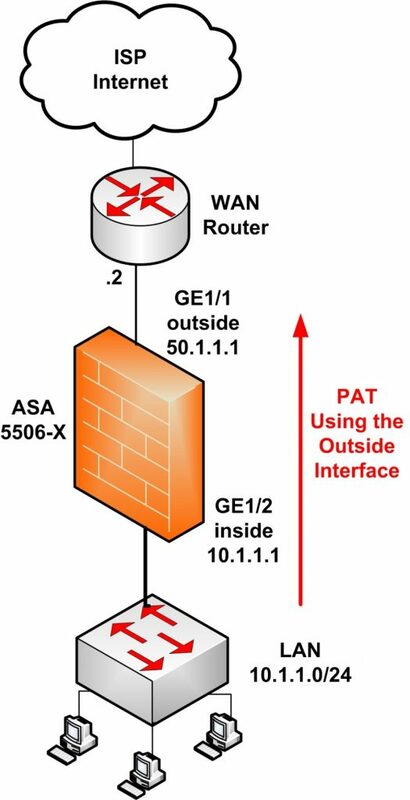 Hi for the ASA 5506-X Basic Configuration Tutorial, if the WAN IP is dynamic, how should we go about configuring the default route to the internet? The above will set the default route as received from the DHCP service. Thanks for your speedy replies. I have another quesiton. In the 2nd example you mentioned DMZ1 can access DMZ2, so why isnt a NAT configured for this? You are right that I have not included a NAT statement for access from DMZ1 to DMZ2. This is because in the specific scenario above, DMZ1 has a webserver and DMZ2 has a wifi access point so I assumed there is no need for the webserver to access the wifi lan.